This view of Saturn was captured on Aug. 12, 2017, by NASA's Cassini spacecraft. 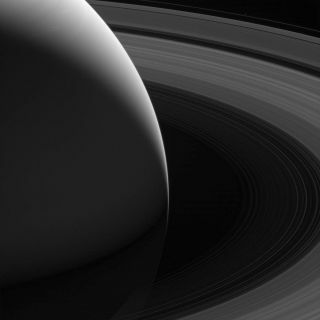 Another gorgeous Saturn photo has emerged from the Cassini archives. The newly released image, which NASA's Cassini spacecraft took on Aug. 12, shows the gas giant and its iconic rings in all their glory. And if you look carefully, you can see the tiny moon Pandora; it's a faint dot near the top of the photo, just beyond the thin outer F ring. "Also in this image is the gap between Saturn's cloud tops and its innermost D ring, through which Cassini would pass 22 times before ending its mission in spectacular fashion [on] Sept. 15, 2017," NASA officials wrote in an image description today (Oct. 23). "Scientists scoured images of this region, particularly those taken at the high phase (spacecraft-ring-sun) angles, looking for material that might pose a hazard to the spacecraft," they added.